Tommy Hilfiger is to introduce 100% recycled cotton denim styles in its spring Tommy Jeans collection, thanks to support from parent company PVH's Denim Center in Amsterdam – its first hub in Europe dedicated to setting new standards for producing denim in a faster, more consistent and more environmentally-friendly way. 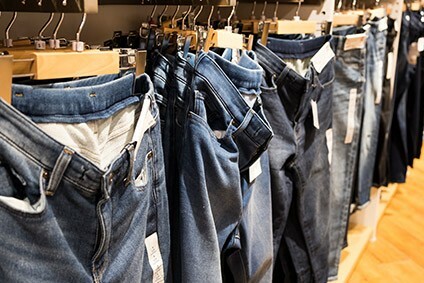 Jeans giant Wrangler will be the first brand to adopt a new environmentally-friendly indigo yarn dyeing process that uses foam instead of water - eliminating 99% of the water typically used in indigo-dyeing - and has the potential to transform denim manufacturing. Garmon Chemicals has reaffirmed its commitment to sustainability as part of a new growth strategy which includes a set of strategic green actions, aimed at increasing transparency and traceability in the company and throughout the industry.